2 in 1 – Vapour control Layer and insulation layer in one. BBA tested & DIBT approved (German Agrement). 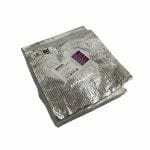 Provides a reflective radiant barrier, keeping you cooler in summer & warmer in winter. 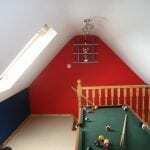 Ideal for use in walls and roof structures in new builds, Extensions & renovation projects. Easily fit with minimal wastage & manufactured with 40% recycled materials. 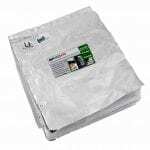 SuperFOIL is the UK’s best value multi-layer foil insulation. Consisting of of reflective foil and loft quilt separation layers SuperFOIL provides exceptional performance at affordable costs. In situ energy assessment indicates that multilayer foils have benefits over traditional (non reflective) insulation. 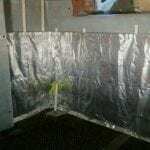 SuperFOIL insulation provides a barrier to the movement of air and controls air leakage. 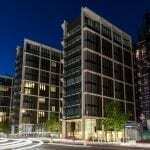 The control of air leakage is essential to the further improvement of energy efficiency. SuperFOIL is CE certified for its performance as a vapour control layer and water barrier. 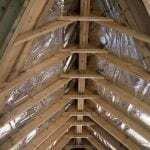 It is easier to handle, install, cut, and seal than other forms of building insulation, and has a life expectancy in excess of 50 years. 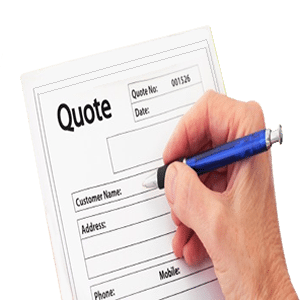 Performance is tested to the standards required and approved for Building Regulations by UK Certified Test laboratories. 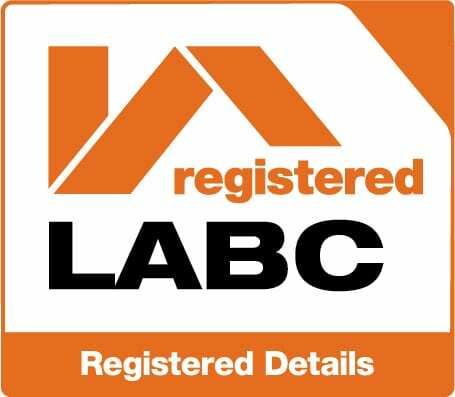 SuperFOIL is LABC Registered System approved which helps streamline Building Regulation applications saving time and money! Reaction To Fire (Euroclass) Class E (Without Plasterboard) Class E (Without Plasterboard) Class E (Without Plasterboard) Class A1 "Non-Combustible"
SuperFOIL insulation is suitable for use in a variety of roofing insulation applications, including pitched roofs and can be used as part of a warm roof, cold roof or hybrid system design. 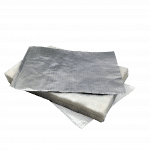 To ensure you achieve your desired performance SuperFOIL can be used on its own, in multiple layers or in conjunction with other more traditional types of insulation such as glass wool or PIR. 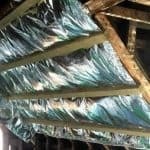 SuperFOIL is typically installed as a continuous layer either above or below rafters as this avoids the performance losses associated with cold bridging from timbers that can reduce performance by up to 15%. When installing simply roll out and staple the SuperFOIL across your rafters, where the edge of rolls meet overlap the edges and seal with SuperFOIL tape. Once taped and sealed, installed a counter batten to create an air gap then follow up with your next layer (typically plasterboard). 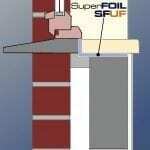 SuperFOIL is ideal for use in flat roof projects due to its high vapour resistance and continuous method of installation. 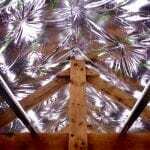 With a vapour resistance of 1200MNs/g for SuperFOIL’s outer layers are over twice the performance of a typical 500gauge polythene meaning much less vapour is able to penetrate into your roof structure that would otherwise cause condensation. 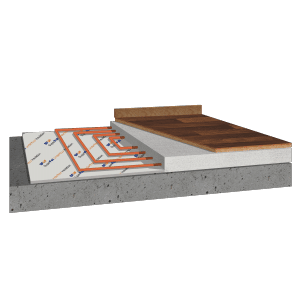 Combine this with SuperFOIL’s continuous install method either above or below joist’s and you achieve a high performance seal to minimise the risk of condensation. 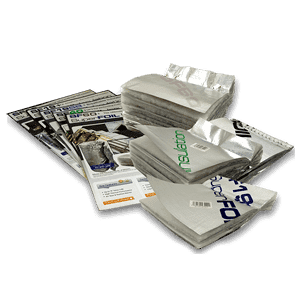 Installation is very similar to that of a pitched roof, simply stapling the product in place and ensuring that any gaps are sealed fully with SuperFOIL tape. 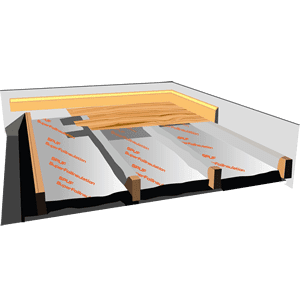 When used in conjunction with a single ply membrane no additional ventilation is typically required (A full condensation risk should be undertaken to ensure there is no risk). 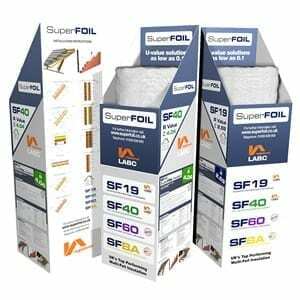 SuperFOIL is ideal for use in solid wall and timber frame constructions be it new build or retrofit projects. 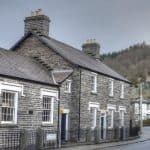 Adding a single layer of SuperFOIL to a solid wall can take it from un-insulated to meeting & exceeding current building regulation requirements in as little as 70mm. 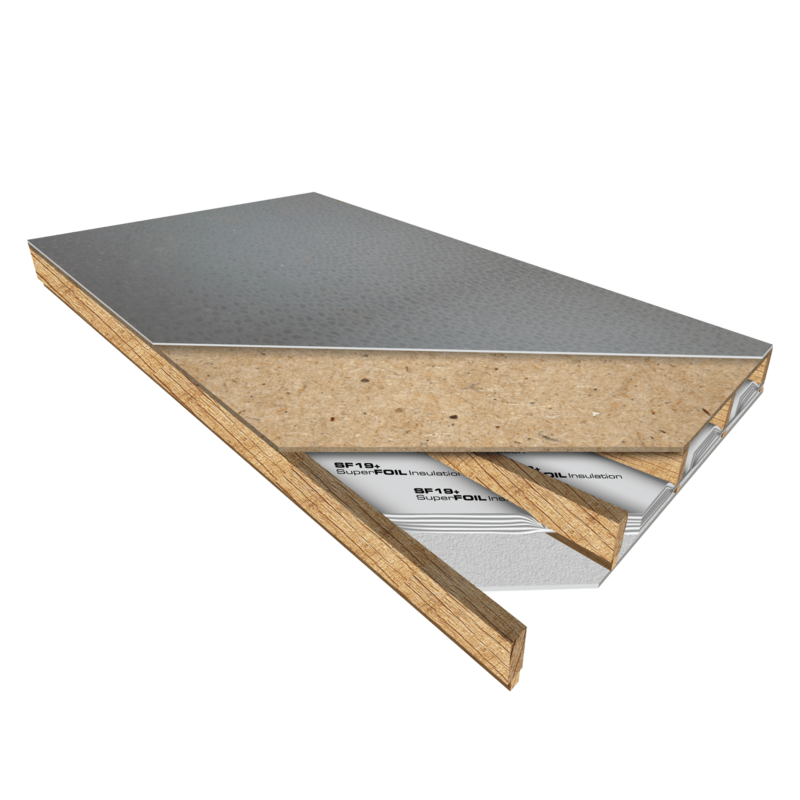 Our SF40 insulation is hugely popular for dry lining schemes with a single layer of SF40 achieving as low as 0.22U in a wall with no other insulation required. SuperFOIL can be used either internally or externally on both solid & timber frame walls to achieve your desired performance. SuperFOIL is particularly well suited to timber frame constructions as stud’s provide the ideal frame work to install onto with minimal build up whilst achieving very high performance levels. 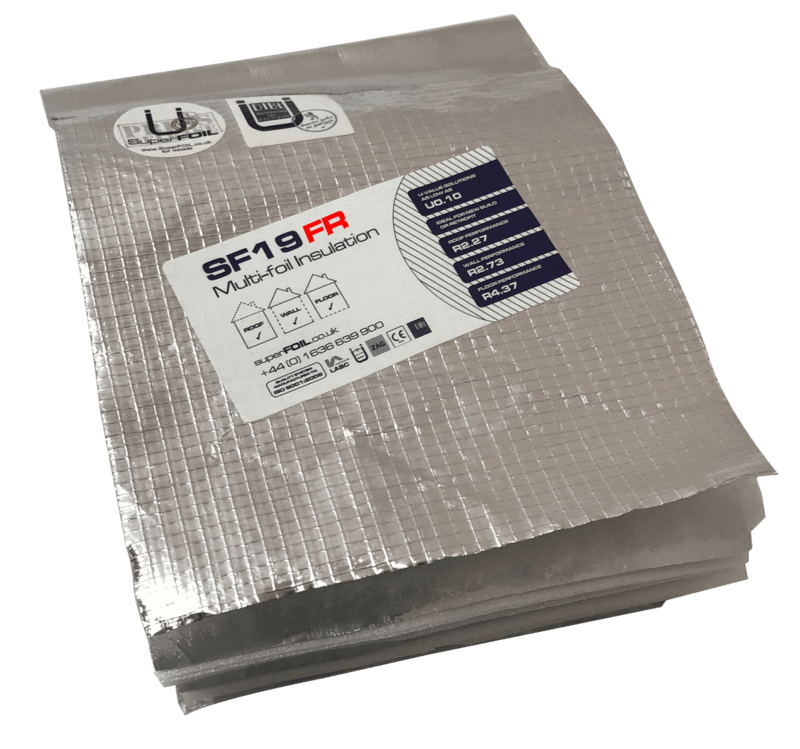 SuperFOIL insulation can be used on all floor types but is ideally suited to suspended timber frame floors (If looking for solid floor insulation please see our SFUF). By using SuperFOIL in your floor you are able to take advantage of low emmisivity air spaces with a downward heat flow. Whilst in roofs & walls performance stops improving at 13mm & 20mm depths respectively, downward heatflow air cavities keep increasing in performance up to a 300mm depth meaning you can achieve very high performance with minimal insulation requirements. 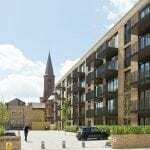 All SuperFOIL Insulation products are independently tested by notified bodies and 3rd party certified laboratories to comply with relevant UK building regulations for use as part of construction and European regulations such as CE. SuperFOIL’s thermal performance has been tested to BS EN ISO 12667, ISO 8301 by BBA ( British Board of Agrément), a UKAS certified body and internationally accredited laboratory. 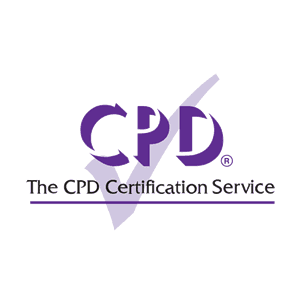 SuperFOIL Product’s also have a range of other accreditation’s to comply with UK, EU & CE regulations to give added confidence and speed up the specification process from highly respected bodies such as BBA, LABC, DIBT & ZAG. 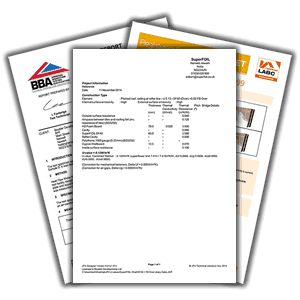 SuperFOIL can be used in many different ways to meet the requirements of Building Regulations for your particular project, we provide a service of U value calculations for elemental or SAP assessment methods. 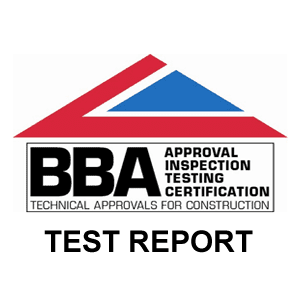 BR443 in Part ‘L’ of Building Regulations specifies approved thermal test methods. SuperFOIL also provides additional performance by reducing air moment (conduction) and by providing a radiant barrier (radiation /solar gain) helping to keep you home warmer in winter & cooler in summer. 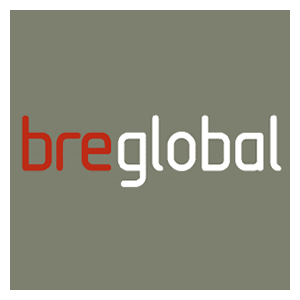 SuperFOIL has also been tested for its Fire performance properties by approved bodies BRE Global & BTTG. 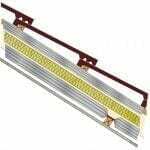 SF19/40/60 FR has a high performance classification, achieving “Class 0” when tested to BS 476.